Along with the paella, gazpacho is one of the most internationally available of Spanish recipes. In reality it’s a simple cold tomato soup, but it’s necessary to know the authentic recipe for gazpacho with the exact ingredients to get the right flavor and density of gazpacho. The gazpacho recipe has many centuries of history. So many that in its origins gazpacho didn’t even contain tomatoes - its main ingredient at the present time - since the tomato is one of the many products that came to Europe from America. The first mentions of the Andalusian gazpacho that appear in books, mention bread mashed with some vegetables, olive oil, vinegar, water and salt. People who worked in the field used to take it as lunch on hot days. Today, gazpacho soup is a summer recipe that has no place for bread. It’s a cold cream of tomato with pepper, onion, garlic, olive oil, vinegar, etc. However, there are many gazpacho recipes that are actually interpretations of the original recipe, in which other ingredients are used. The best examples are the famous watermelon gazpacho, cherry gazpacho, red beet gazpacho, etc. If we add bread to gazpacho, we get what is known as “salmorejo,” another well known Spanish recipe of Andalusian origin, which is characterized by its thicker consistency. 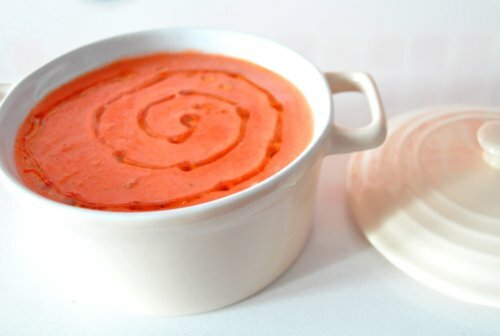 If tomato gazpacho can be served in a glass – which is very common in Spain - a salmorejo must necessarily be eaten with a spoon. But let’s not deviate from what interests us, and discover the authentic Spanish gazpacho recipe! Among the many gazpacho recipes that exist on the Internet, this is the authentic Andalusian gazpacho. 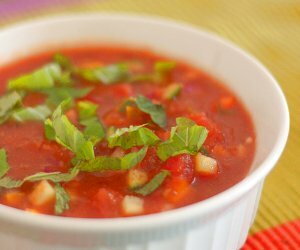 The best gazpacho recipe you’ll find! Wash the tomatoes and pepper well. Extract the central strand of the garlic clove to prevent the gazpacho from getting too strong. Insert all ingredients of the gazpacho into the blender jar. Blend until you get a gazpacho soup without lumps, in that the olive oil and the sunflower oil are perfectly mixed in with the rest of the ingredients of the gazpacho. Optionally, you can strain the gazpacho to prevent the tomato seeds or any other lumps from being included. Put the gazpacho in the refrigerator for 30 minutes, and always serve it cold. When you take your cold Spanish soup to the table, it’s typical to add a small bowl with chopped diced vegetables (tomato, pepper, onion, cucumber, etc.) so that everyone can add them to their gazpacho to taste. It’s not that we have resorted to an easy gazpacho recipe in this case, but to make gazpacho is as easy as you think. As you can see, the most important thing is to be clear about what is gazpacho and what the ingredients are. Once these are gathered, just blend them and let them cool. 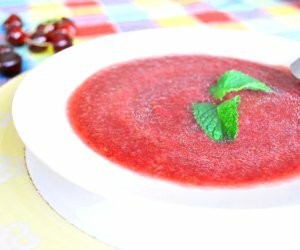 This is the traditional gazpacho recipe that everyone wants to know how to make, but as we said before, there’s also the possibility of making watermelon gazpacho and other gazpacho recipes with many other fruits and vegetables as the main ingredients. To make watermelon gazpacho, for example, we would only have to substitute half the tomatoes for the same amount of melon. And it’s the same if we want to make gazpacho with cherries, gazpacho with red beet, or cucumber gazpacho, to mention some of the most typical. In all cases we would still be talking about an easy gazpacho! Being the main ingredient of a gazpacho soup recipe, the choice of tomatoes is especially important. In Spain, it’s said that the pear tomato is the most suitable to make gazpacho, but if you can’t find them, you can use other tomatoes as long as they’re ripe, and are very fleshy and tasty. Another essential ingredient is the extra virgin olive oil, one of the most representative products of the Mediterranean diet, essential to be able to speak of an authentic Spanish gazpacho recipe. 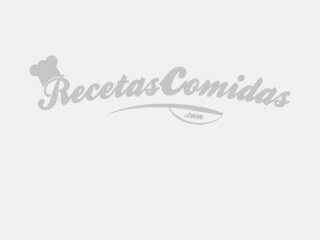 Don’t forget to download this digital gazpacho recipe if you want to discover recipes similar to this international cold Spanish soup.